Joining the likes of the other major online poker rooms, next generation poker site PKR.com today announced the roster of its new “Team PKR Pro.” The six new members will represent PKR.com and act as brand ambassadors for the website. “Team PKR Pro” will be exclusively sponsored by PKR and act as brand representatives at live events, as well as offering a variety of content for the PKR.com website and PKR TV. 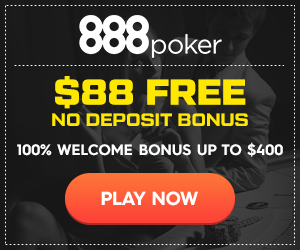 They will also be available to play on the PKR.com site in both cash games and specially organized bounty tournaments. The inaugural members of the team include TV celebrity Ashley Hames (ashleyhames1), GUKPT winner Andrew Teng (PKR username “golfpro699”) and 2008 Irish Open finalist Kai Danilo Paulsen (kingkai84), along with PKR community members Raymond O’Mahoney (callmebabe), James Sudworth (James666) and PKR Live runner-up Henrik Eklund (pokey85). Henrik “Pokey85” Eklund (Stockholm, Sweden) — Eklund, 24, has been playing poker for four years. The Swede has been a regular at PKR’s nosebleed cash game tables since April 2007 and began to make a name for himself on the live tournament scene by taking second place at the inaugural PKR Live in November 2008 followed by a victory in the APT Manila Headhunter side event. Henrik’s ambition for 2009 (beyond winning the WSOP) is to make a final table of a major event. Ashley “ashleyhames1” Hames (London, UK) — Ashley Hames is a popular TV presenter and writer who is known for his series Sin Cities — still Bravo’s highest rating show ever in the UK. Hames is also the PKR TV commentator. He began playing poker in 2008 and rates his poker highs as playing in the WSOP main event, reaching the final of Celebrity Poker Club and playing on the TV table at this year’s Irish Open. Raymond “callmebabe” O’Mahoney (Dublin, Republic of Ireland) — Like Eklund, O’Mahoney has been cutting his teeth at the highest cash games and tournaments since April 2007. His first major live cash came courtesy of the inaugural PKR Live $500 Main Event, where he finished fourth for $6,500. Ray’s goal is to win his home major, the Irish Open. Kai “KingKai” Paulsen (Trondheim, Norway) — The 25-year-old Norwegian has the finest live tournament record of any PKR regular with more than $322,000 in earnings. This includes two cashes at the WSOP (including an 18th place finish in Event #49 in 2007) and a fifth place finish at the 2008 Irish Open, where he earned $229,358. Kai’s aspirations include winning one of poker’s majors — and preferably bring home a bracelet. James “James666” Sudworth (Kent, UK) — This 22 year old has been a familiar face at the PKR tables since November of 2006, playing some of the biggest cash games the site has to offer. Sudworth’s top poker accomplishment was a runner-up finish at the GUKPT in January 2009 for more than £40,000. Andrew “golfpro699” Teng (London, UK) — Teng has been a high-stakes pro across many online sites for the past two years. He made an impact on the live scene in 2008, first making a deep run in the WSOP Main Event (126th place) and then winning the Thanet leg of the GUKPT in October 2008 for £70,000. PRK, founded in 2005, is an innovative online poker site that features real-time video game-like 3D graphics that has changed the way online poker is played.